Sinaloa is the geographical point closest to the Pacific Ocean of the immense North American Midwest market, and, thereby, facilitates the traffic of products to that area of ​​the United States of America. 1. 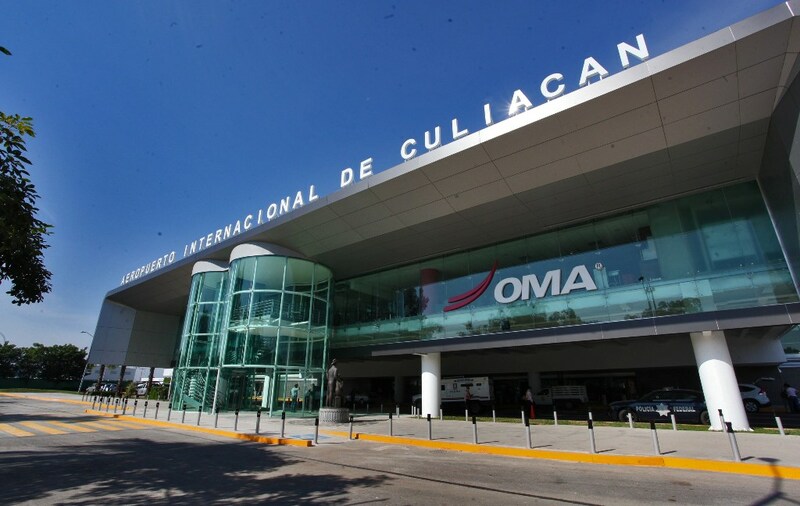 Culiacán International Airport, is an airport that handles national and international traffic of the city of Culiacán, Sinaloa, Mexico. 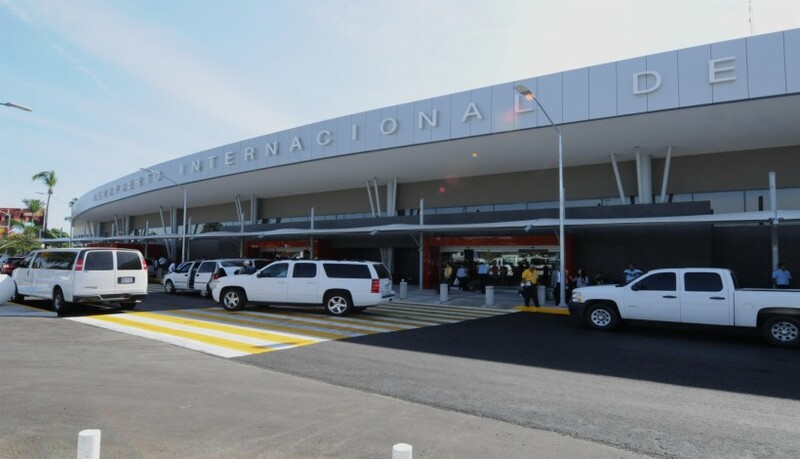 This airport is part of Grupo Aeroportuario Centro Norte and is the airport with the largest number of passengers and operations in the state of Sinaloa. It has a capacity for 22 operations per hour. It is the 9th busiest airport in Mexico. 2. The International Airport of Mazatlan, is an airport that handles national and international traffic of the city of Mazatlan, Sinaloa, Mexico. 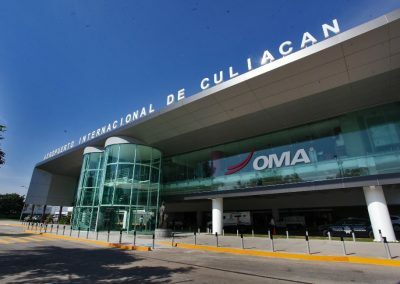 This airport is the second most important in Sinaloa, after the Federal International Airport of Culiacán. It is located in the southeastern part of the city and is one of four airports in Mexico that has a Control Area Center (Centro Mazatlan), the others being in the International Airport of Mexico City, Monterrey International Airport and International Airport of Merida. Centro Mazatlán controls air traffic over the northwest part of the country. 3. 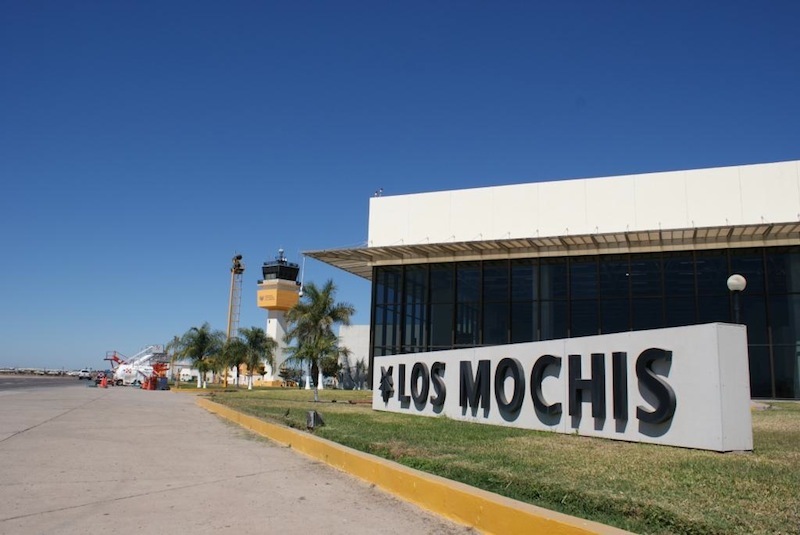 Los Mochis International Airport, is an airport that handles national and international traffic of the city of Los Mochis, Sinaloa, Mexico. 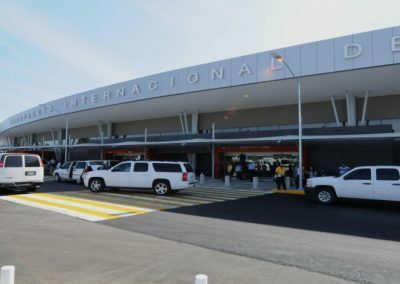 This airport is managed by Grupo Aeroportuario del Pacífico and is the third airport with the largest number of passengers and operations in the state of Sinaloa. Sinaloa has 793 km of 4-lane highways that place it in the 7th position in the country, and its 4,367 km of 2-lane highways place it in 16th position. 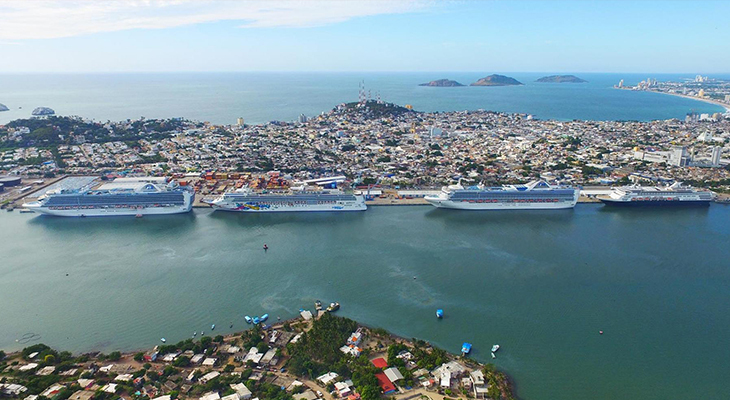 The state of Sinaloa has 2 maritime ports: the port of Mazatlán and the Port of Topolobampo. 1.1. 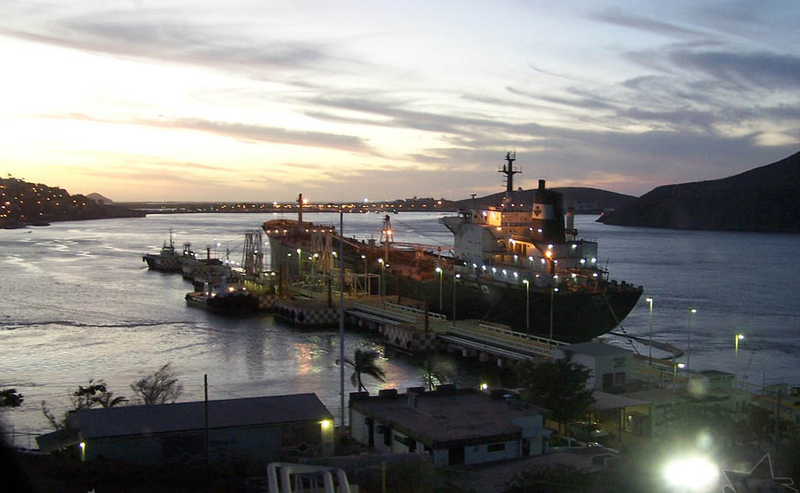 Topolobampo is a port of height and cabotage with maritime, land and air connections. It communicates the regions of the Sea of ​​Cortés with the West of Mexico. 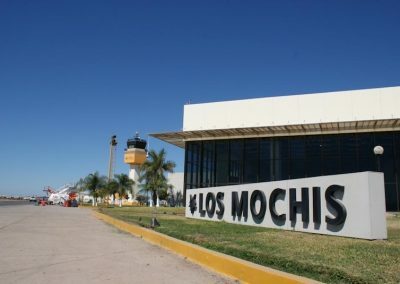 The port of Topolobampo connects the region with other states of northern Mexico thanks to the Chihuahua-Pacific Railway, whose passenger terminal is located in the city of Los Mochis. 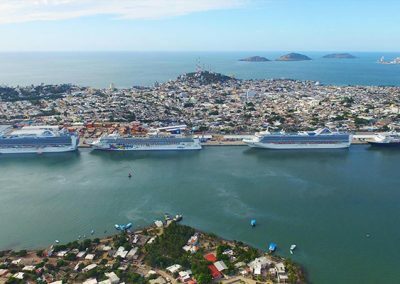 In the port there is also the terminal of ferry lines that connect the north of Sinaloa with La Paz and Los Cabos, in Baja California Sur. 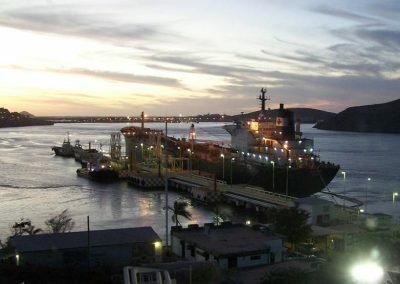 As a result of the development developed and the expansion of the southwestern area of ​​the port, there has been an incentive to invest in new businesses, the number of service providers has grown and the installation of others such as Fertilizers (ISAOSA) and the new Line of Ferrys California Maritime Transport. 2.Mazatlán is now a tourist, commercial and fishing port, located a few kilometers south of the Tropic of Cancer, at the point of confluence of the Pacific Ocean and the Sea of ​​Cortez, off the southern tip of the peninsula of Baja California with which links via ferry; being the most important port of connection of the western coast of Mexico with Los Angeles, Panama and the Mediterranean. It is located on a small peninsula that projects towards a natural bay, thus separating the fishing fleet and the boat traffic from the beach line, which extends along 26 km to the north. The state of Sinaloa has one of the largest railroads in the country, it is in 8th place, with a total length of 1,194.5 km on railroads, divided into 3 categories, which are: trunk and branch, secondary and individuals. Of the total railroads (1,194.5 km), 75.79% are trunk roads and branches, 19.02% are secondary roads, and 5.19% are private. 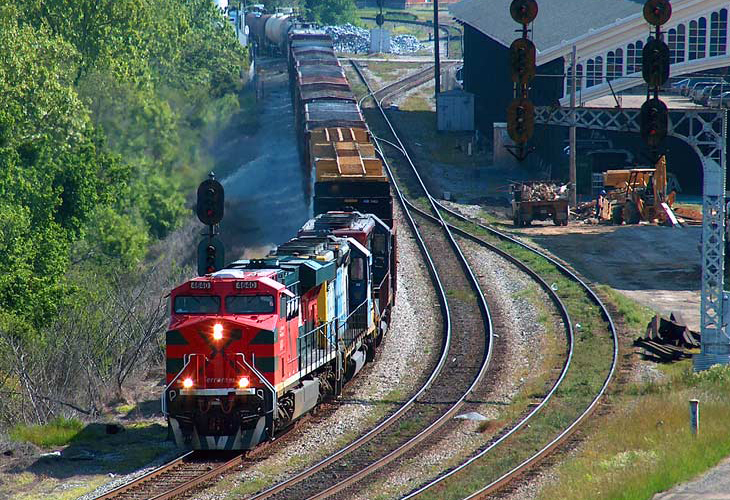 Most of the railways currently serves the transport of goods. The state has the Chihuahua Railroad to the Pacific, transports passengers, it is an important railway line in northwestern Mexico; It links the cities of Chihuahua in the state of Chihuahua and Los Mochis, in the state of Sinaloa, on the Pacific Ocean coast. It crosses 673 km, crossing the Barrancas del Cobre, this railroad is better known as “El Chepe”, and it is a very important tourist attraction in Mexico. Sinaloa, Durango, Coahuila, Chihuahua, Nuevo Leon, Zacatecas, Tamaulipas and Nayarit are the states that conform the Northern Economic Corridor. This highway is the connection with Texas through the Super via Mazatlán – Matamoros, which connects Mazatlan with the East Coast of the United States, crossing an area that produces 23.14% of the National GDP. The Mazatlán-Durango Highway is part of the Northern Economic Corridor and brings the city of Durango closer to six hours to two and a half hours, and at the same time, allows a greater and faster flow of goods between Sinaloa and the Northeast of the Republic, as well as the United States. Topolobampo – Ojinaga highway, which connects the port of Topolobampo with the state of Texas, USA.